Check out these tips for using decor to warm up your apartment this fall and winter. The cool fall weather is a welcome change after a humid summer, but eventually, the winter temperature will drop to freezing levels. When it’s cold outside, we want our home to be as warm and cozy as possible. 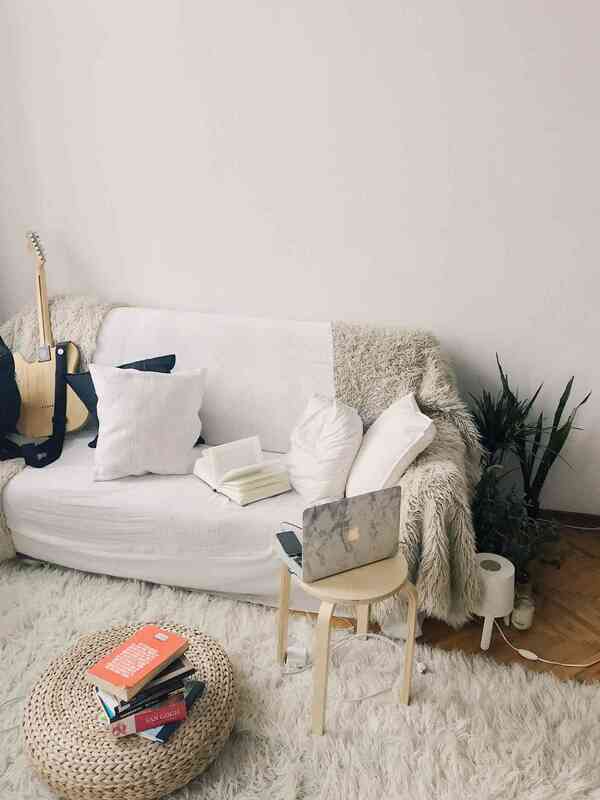 Check out these few tips for using decor to warm up your apartment instead of relying solely on the heating system. Hardwood floors are a beautiful element to every apartment, but unfortunately, they can get very cold. The fall season is a great time to invest in a few area rugs to place around your apartment to keep your feet nice and warm. Ideal places for rugs include under your bed, (no one wants to have chilly feet first thing in the morning,) under your dining room table, and in the living room. If your apartment’s walls are cold, it means that some of the heat you are paying for is escaping. To trap the heat and keep your apartment comfortable, add wall tapestries or a fabric feature. You can create your own design with pieces of fabric, or purchase one made of thick fabric for the best results. Drafty windows are not ideal in the colder months, as they will let the warm air out and the cold air in. Warm up your windows with DIY wool curtains, or energy-efficient window treatments such as thermal shades. These decor fixes will add a nice design element to your apartment while significantly reducing heating costs- a win-win! Cold weather means it’s finally time to snuggle on the couch with piles of blanket and pillows for a toasty night in. Shop around for affordable, comfortable, and visually appealing decor items to create the ultimate cozy sofa scape. This entry was posted on Friday, October 12th, 2018	at 1:58 pm	. Both comments and pings are currently closed.